A car is made up of many components, with some being more complicated to fix than others. Some repair jobs are well beyond the understanding of the average driver, like brake and suspension systems. On the other hand, there are many simple maintenance jobs you can deal with yourself. Many mechanics will overcharge you for basic jobs, and you’ll lose the use of your car for a day over something minor. It’s not only cheaper but also more time efficient to do some repair jobs yourself. You can easily buy the right parts and get certain jobs done in less than an hour. Here are some of the car maintenance jobs you can do yourself with speed and ease. Driving with a dead bulb at night is dangerous, and can get you in trouble with the police. It’s best to carry spares, as they can be replaced at a moment’s notice. Usually, there are clips under the bonnet for taking a bulb out and sliding in a new one. Check your manual for the exact procedure for your car. You should check your battery every few months and ensure it’s in good condition. Sometimes all you need to do is clean out any residue that accumulates around the battery. If your battery is dead, it’s easy to get a replacement from a car parts store. Online sites can also help you find exactly what you need, for example, you can check for products at KarlsCarParts.com. Car batteries are often universal, so they can suit all models of cars. If you need to replace your battery, check out this helpful tutorial at Dummies.com. Replacing car tires is one of the most common repair jobs people handle themselves. In fact, you should always carry a spare tire in your boot in case of any unexpected punctures on the road. You only need a few tools to keep your car lifted, loosen the bolts, and swap out a flat tire for a new one. This can easily be done on the side of the road, but don’t do this on motorways. Many regular drivers know how to switch a tire. If you have trouble with yours, you can always flag someone down for help. Wiper blades usually need replacing at least once a year. It’s best to do this now if you haven’t already, as you’ll be using your wipers a lot to combat the falling leaves of the upcoming season. They’re even more important for the winter. The process usually involves lifting a blade, removing it via a tab then attaching the new one. You can find new wiper blades at parts stores. You can handle this yourself in about 10 minutes, and it’s much cheaper than going to a maintenance service. Oil often needs to be changed regularly. 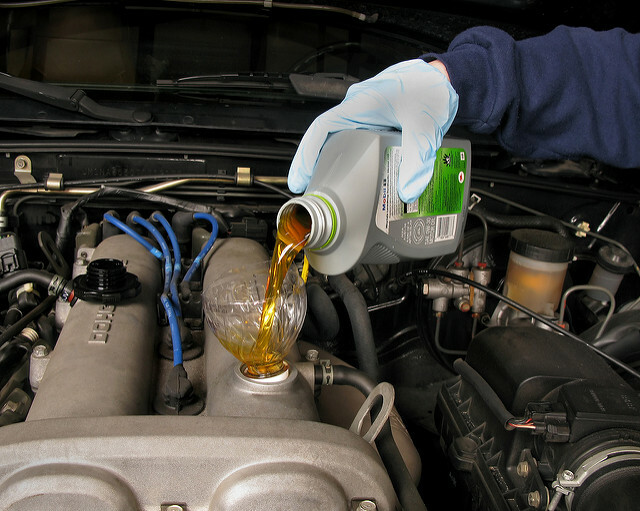 Manufacturers usually give different recommendations on when to change your oil. It can be anything from every 3,000 to every 7,500 miles. Regardless, getting your oil changed at a maintenance service can be costly, so it’s best to learn to do it yourself. This can be slightly more tricky than other jobs, so watch this in-depth YouTube guide for help.